Scottish Cutlass Swords for sale feature a popular 17th Century design including a basket-hilt guard and a double edge unsharpened cutlass style blade. 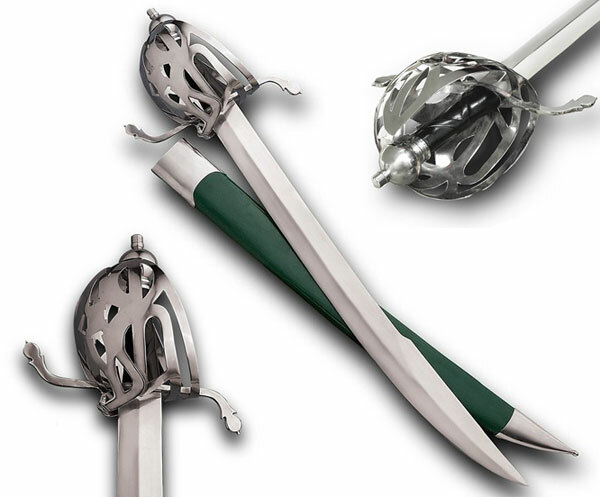 These swords measure 31 ½ inches in all with a 25 inch blade. 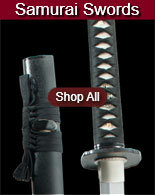 When sharpened, the blade has a double edge on the first nine inches of it. The blade is 2 1/8th inches wide and 3/16th inch thick. 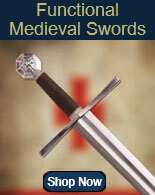 These swords weigh approximately 3 pounds, 4 ounces and include a scabbard. 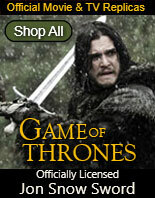 Buy these beautiful and functional Scottish Cutlass Swords for only $219.99.